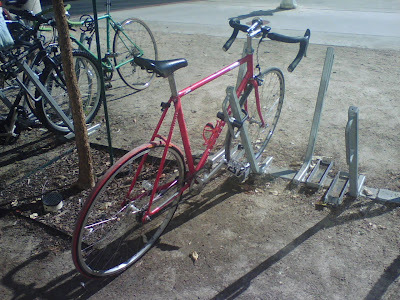 A red fixed gear parked by the math building. I took this picture yesterday. Good news, I get the Puegeot back on monday, to bad I will be out of town. I cant wait to ride it again.